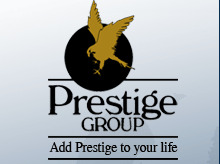 Bangalore: Real estate developer Prestige Group will launch several projects in the residential, commercial and retail segments in the next two quarters. Presently it has projects like the high-end UB City and Prestige White Meadows project. It has high-end projects on Edward Road and Kensington Road in Bangalore. In the affordable segment, it will develop 2,800 units in Bangalore North, a township on Kanakpura Road. It is planned as a mixed use development – where 80 per cent of development would be residential, and a project in Bangalore South (Subramaniapura). It plans to invest over Rs 7,000 crore spread over three-four years. The company plans an investment of over Rs 2,000 crore across eight projects in the residential segment, out of which four are high-end luxury ones. All funding for the projects will be through a combination of internal accruals, bank debt and the IPO proceeds. On the commercial segment, investments will be over Rs 2,000 crore. Three projects in Bangalore are under various stages of implementation. Six retails are planned across South India with an investment of about Rs 1,500 crore, while about Rs 1,000 crore would be invested in three-four hospitality projects.